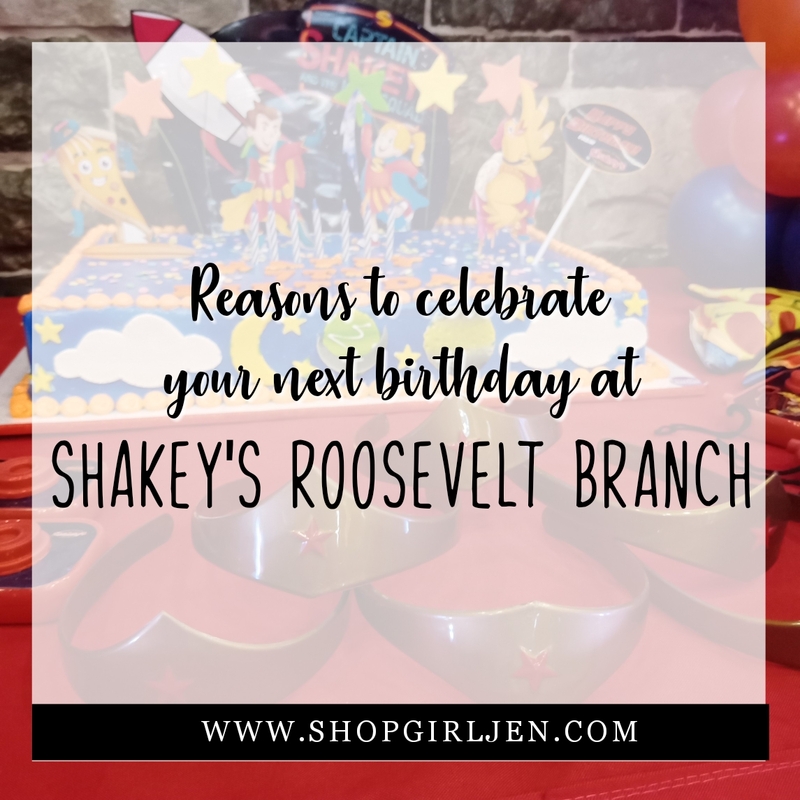 Birthdays are special. As much as possible we want to celebrate our loved ones birthday in a big way. 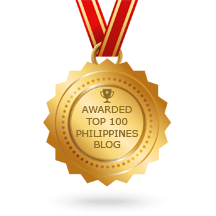 I know some who will go the extra mile (meaning mangungutang) just to celebrate. 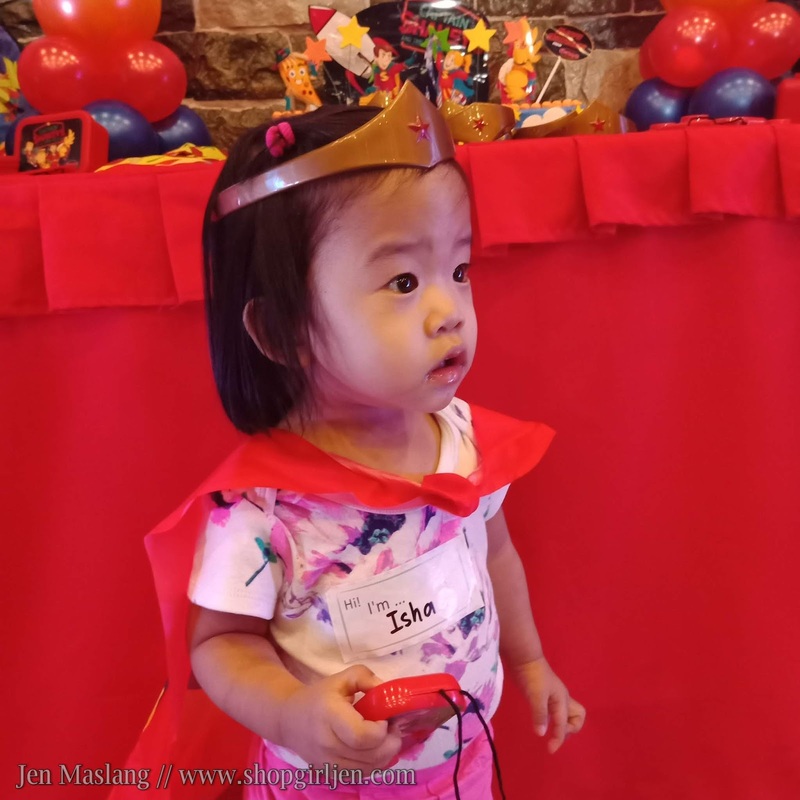 But who said that birthday party should be expensive? 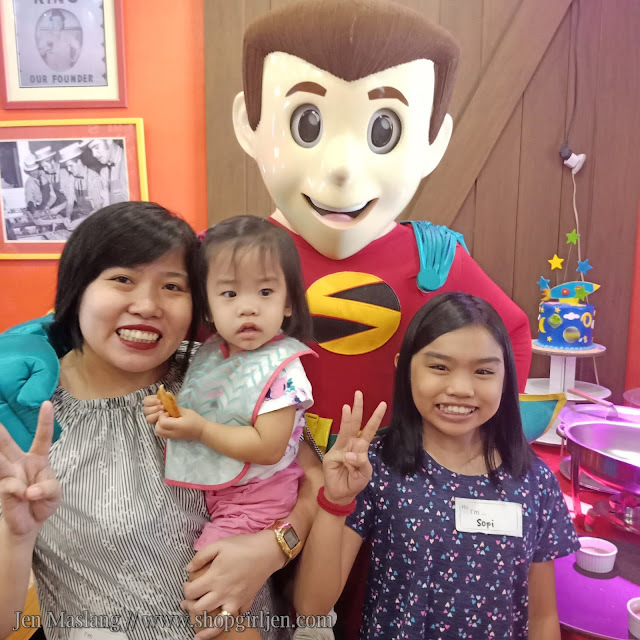 Especially now that back-to-school is just around the corner, we can still celebrate our kid's birthday in a grand way but still pocket-friendly. 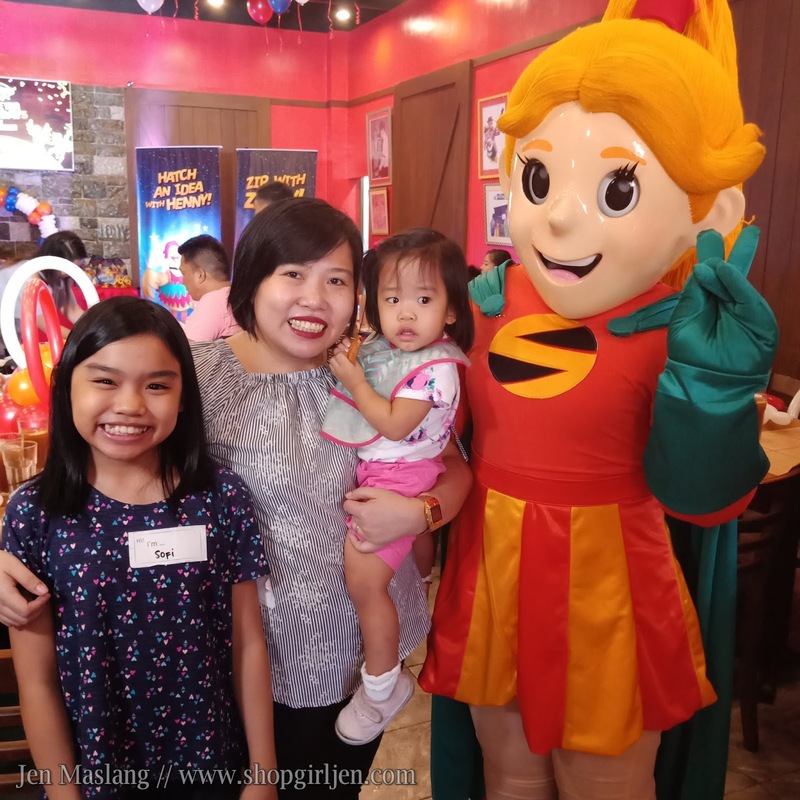 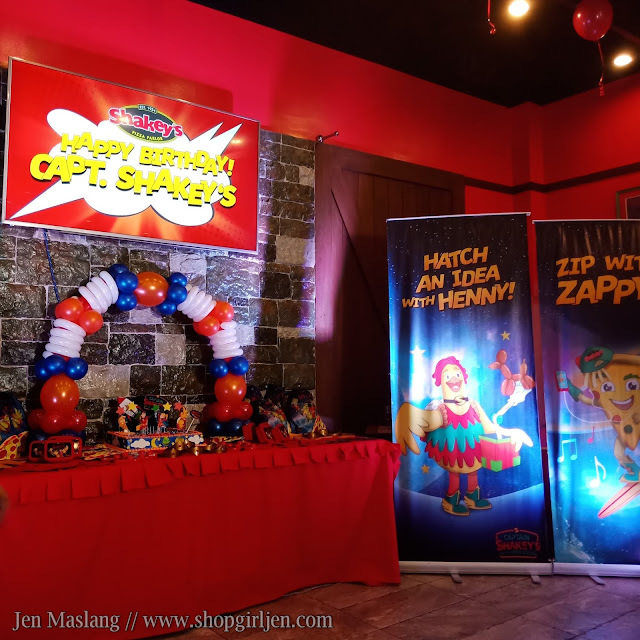 A few weeks ago, #TeamSofIsha and I together with some mommies and their families were invited to attend Captain Shakey's birthday party. 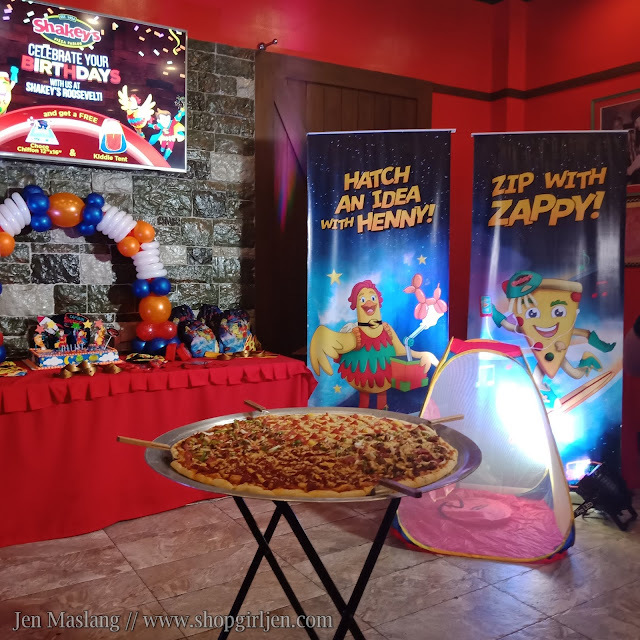 With fun games and prizes, party favors, yummy food and of course pizzaaaaaaa, it was a birthday party to remember. 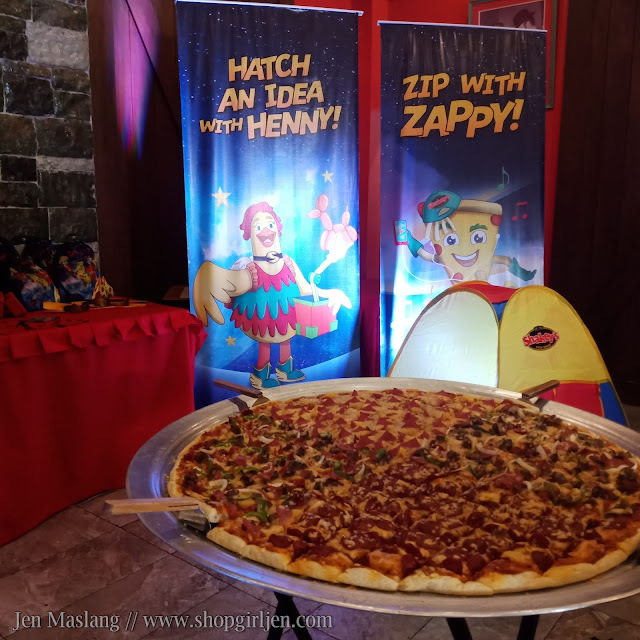 Our favorite pizza chain has come up with party packages that I'm sure everyone will love and afford. 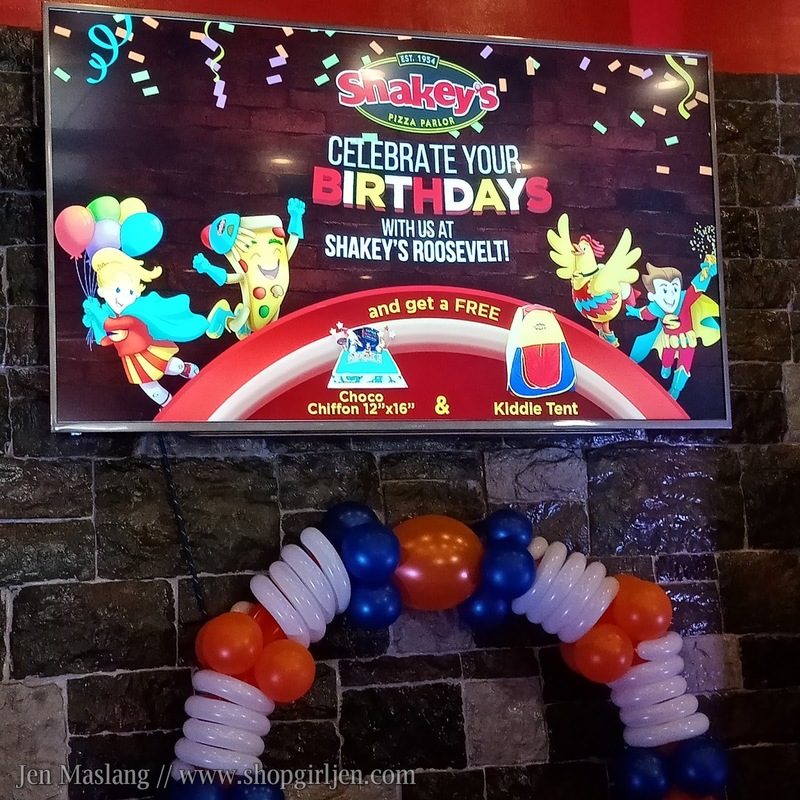 That’s why at Shakey’s, celebrating your kids’ birthday has never been easier! 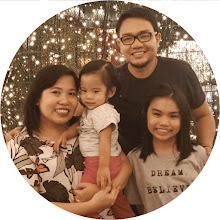 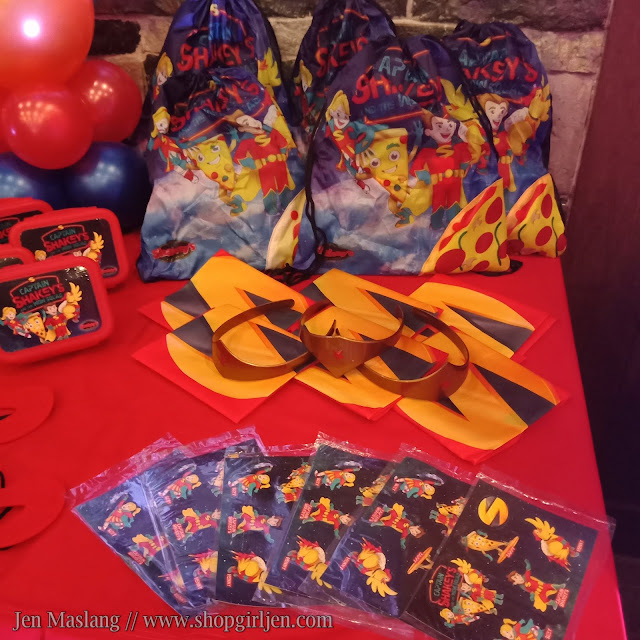 Moms need not to fret about the smallest details of their kids’ party since Shakey’s Birthday Party Packages are complete. 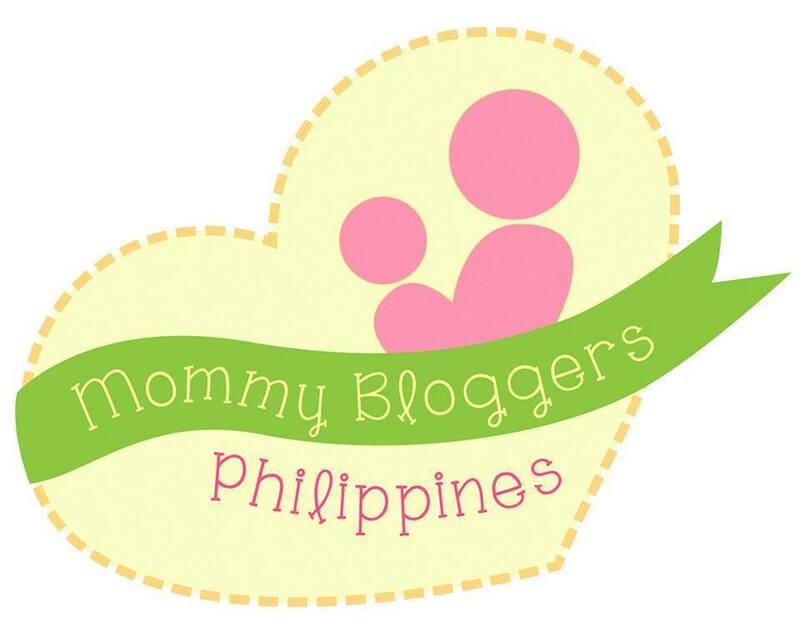 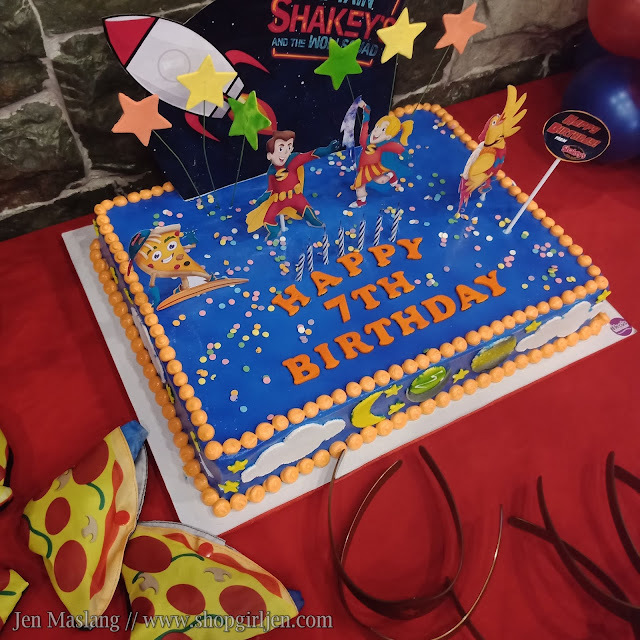 At Shakey’s, they aim to be the mom’s go-to place for your child’s birthday party. 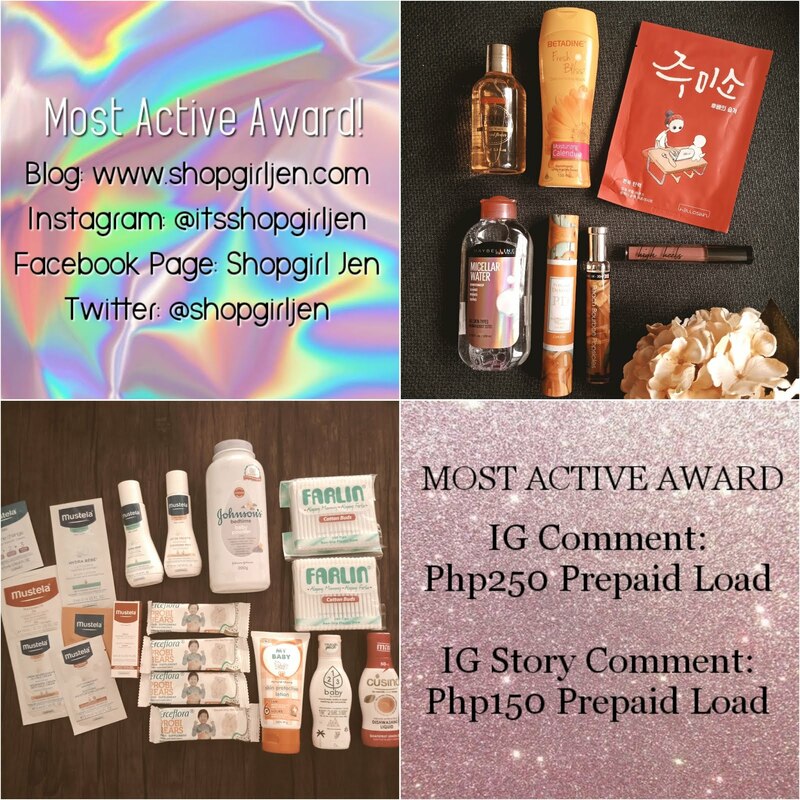 That’s why all the packages offered are convenient as it is wallet-friendly. 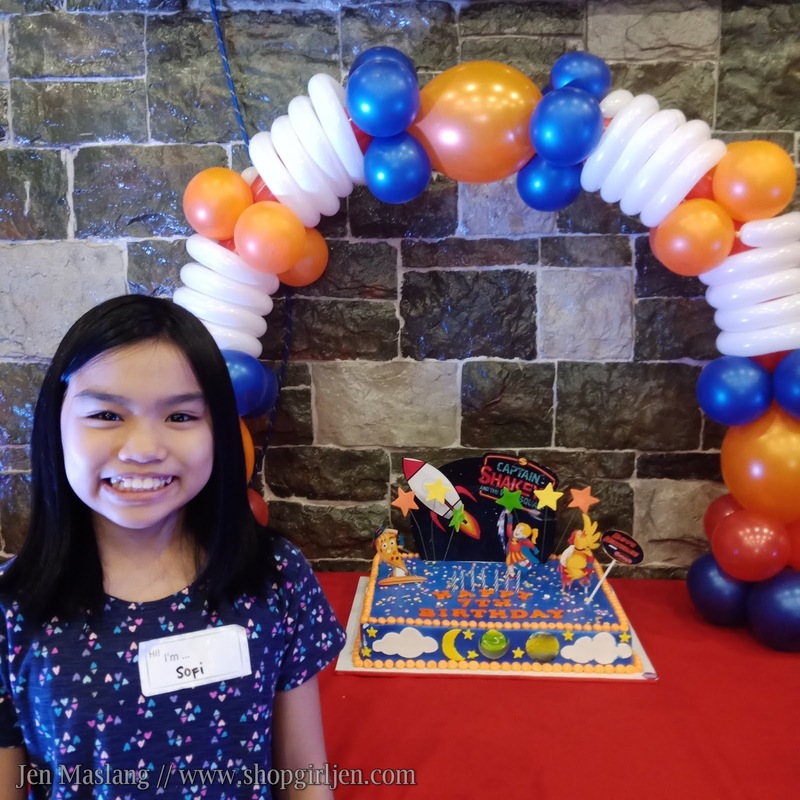 But most of all, kids are assured to have a FUN time with great games and great food. 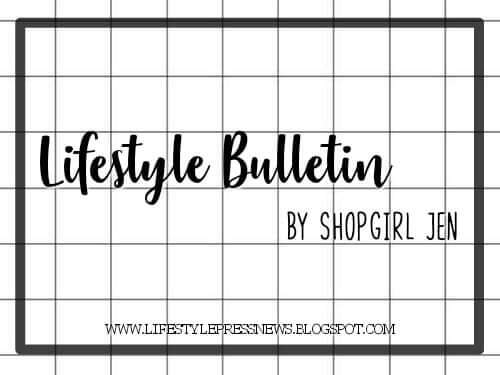 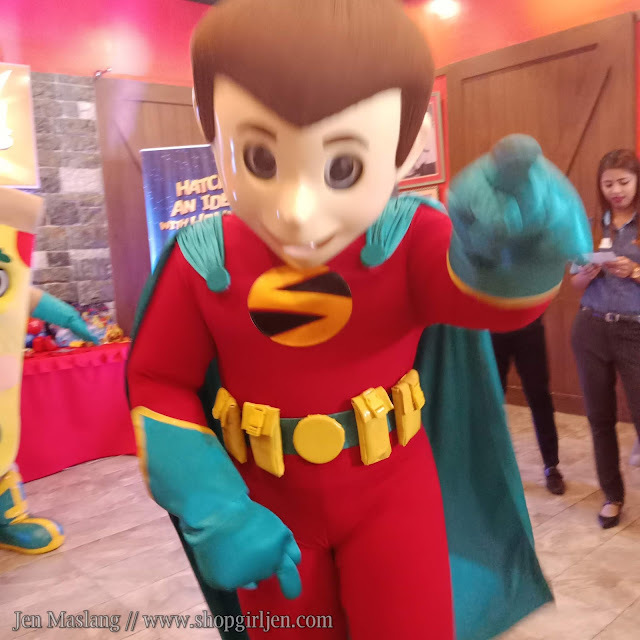 Plated package starts at P12,500 for thirty (30) attendees, while buffet package starts at P17,000 good for thirty (30) attendees with FREE Mascot Appearance. Whether it’s a plated or buffet package, kids can be assured of a pizza-mazing time since both package comes with a Giant Pizza. 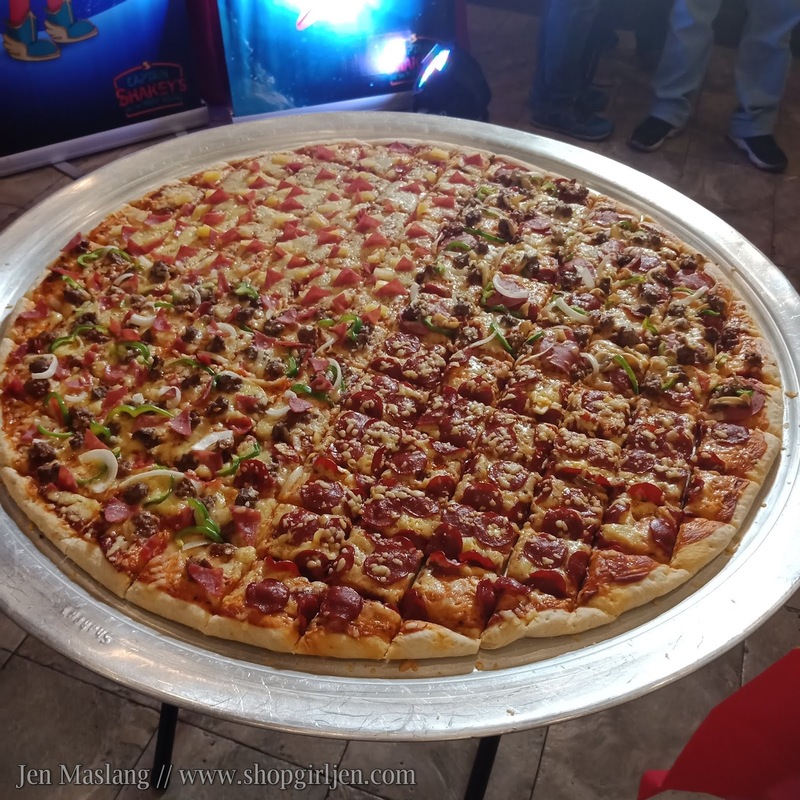 The 32” pizza comes in four flavors: Manager’s Choice, Hawaiian, Pepperoni, and Shakey’s Special. Kids can choose from the Justice League theme or Capt. 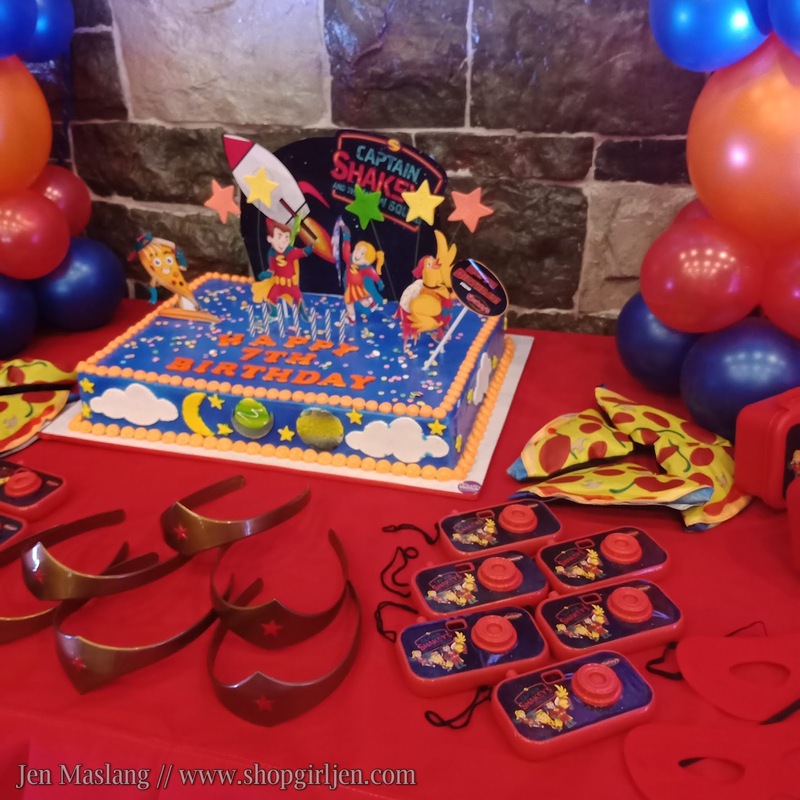 Shakey’s and the WOW Squad theme for their special day. 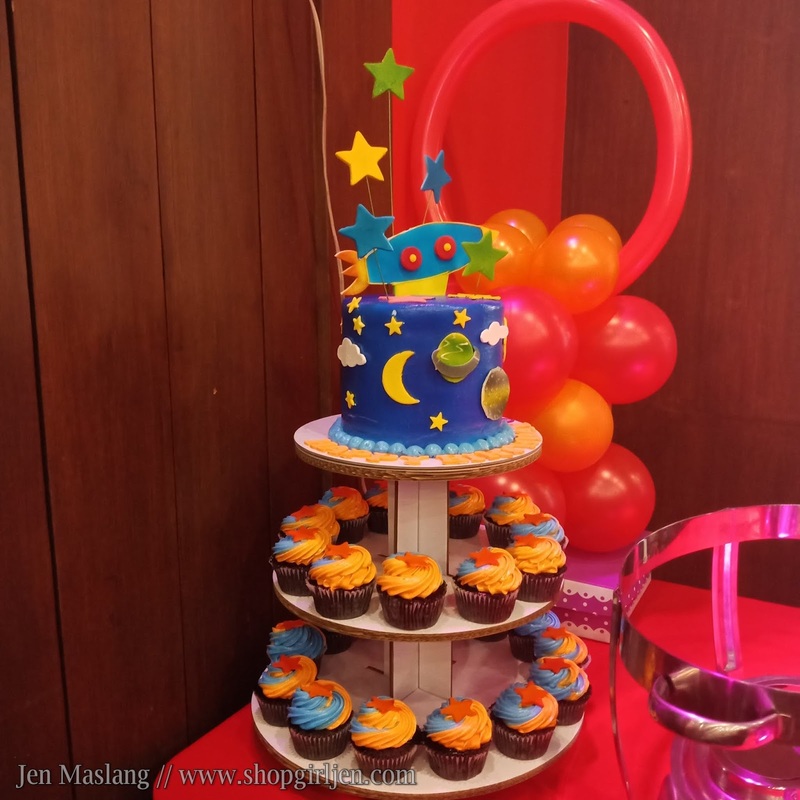 Finally, moms can further elevate their parties starting at P4,000 with a wide variety of Party Boosters from Magicians to Balloon Twisting. 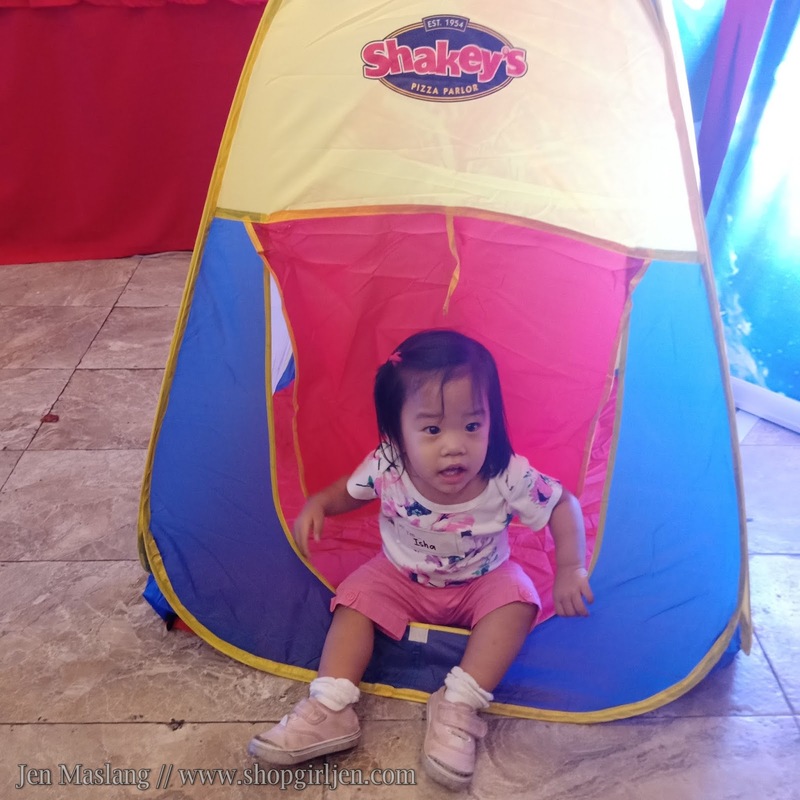 you'll get a kiddie tent and choco chiffon cake for FREE! 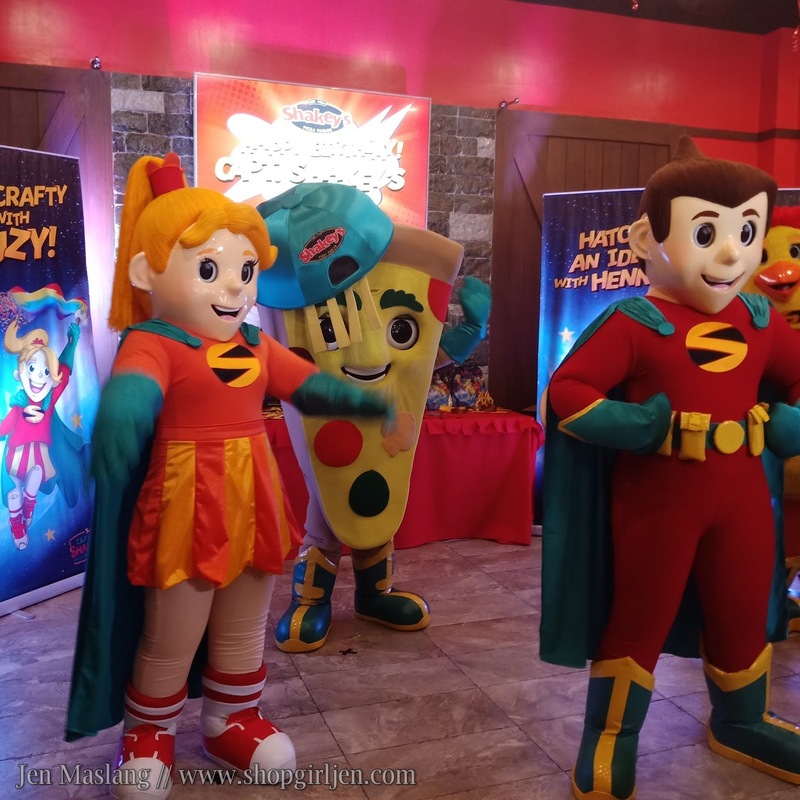 Thank you Captain Shakey's and Friends for having us! 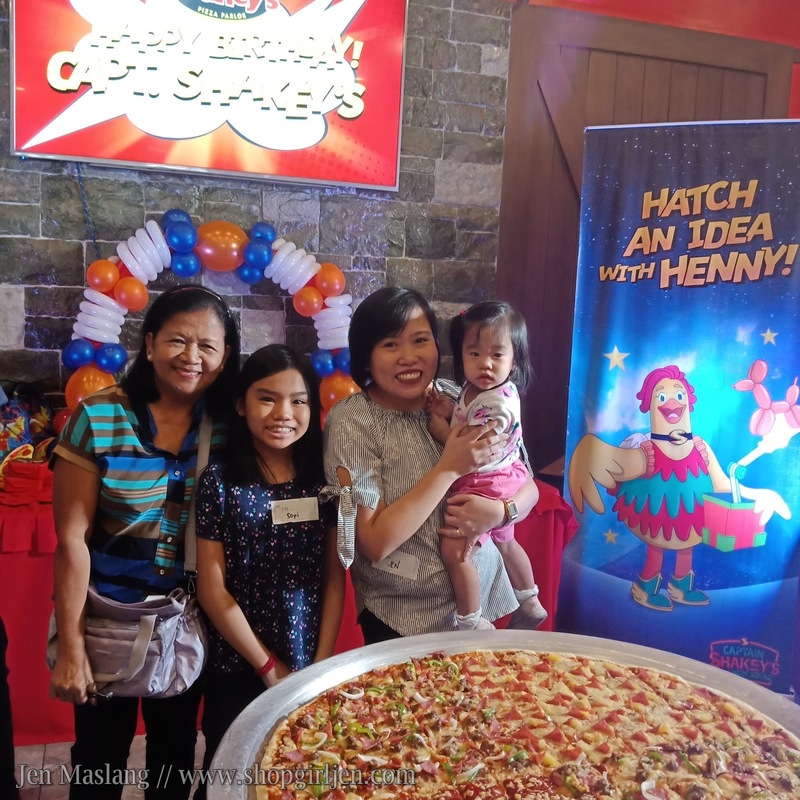 So, if you’re looking for a FUN-filled party with your family and friends with lots of pizza, then Shakey’s is the only way to go. To book your parties at Shakey’s Roosevelt, contact them at 0977-2599798 and 0932-2380375. 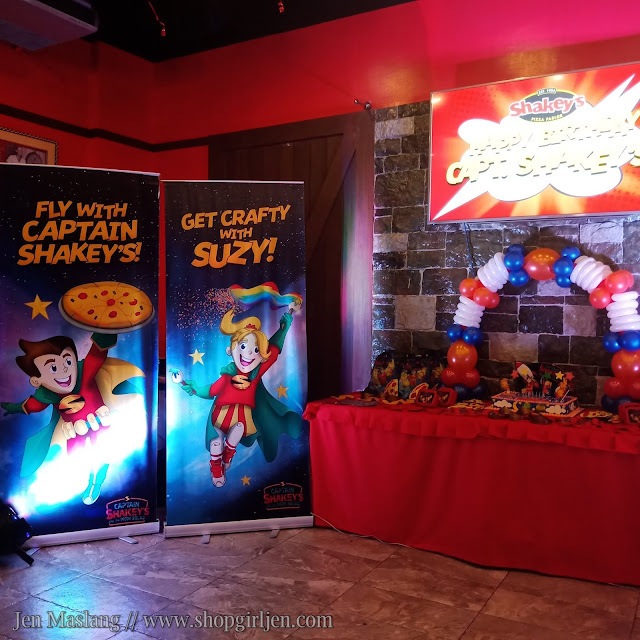 Head over to Shakey’s and start planning your kids’ birthday party now!